Removal of asbestos can be enough of a headache with all the worry of exposure, labor of removal, and regulations. The final part of the process can be the most expensive- disposal! 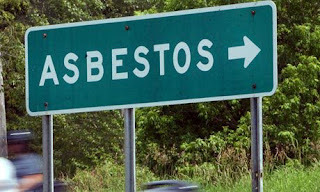 Because of the regulations on asbestos it can only be disposed of at certain locations. This could require the hauler to travel further than normal and does add to the cost. Furthermore, disposal fees for asbestos is based on cubic yardage of the container (not the amount in the dumpster), landfills have "profile" fees, and additional fees/taxes! Also, asbestos needs to a minimum of bagged twice, wet, and determined to friable or non-friable. In Georgia if you are doing an abatement job at your personal residence you do not need to file any paper work with the state; there still needs to be a manifest forms (Click Here) with and in each load. The most important part of disposal is to know that you (the homeowner) are responsible for the asbestos forever; even after it is buried!! It is highly recommended that you leave the any hazardous material abatement to a professional and allow them to hold the liability. For more information about asbestos in the state of Georgia Click Here. If you have all your ducks in a row and are looking to dispose of asbestos from your personal residence you can call us at 404-692-2838. *By no means are we experts in the field of asbestos, the information provided here is not to used as professional advice and/or current regulations! 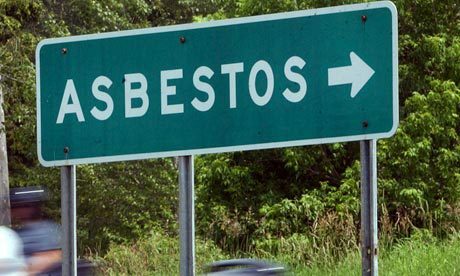 It is highly recommended that you consult with an certified asbestos contractor, local government(s), and federal government.